Demineralization, the process of removing nearly all dissolved salt and mineral ions from water, can prove ideal for facilities requiring ultrapure water for a variety of applications. If you have an overall understanding of demineralization but still have questions regarding the possible advantages of using it at your facility, you might be wondering “what are the properties of demineralized water and how can it benefit your plant?” Below is a breakdown of those properties and a list of common uses so you can determine whether or not this solution might help your facility meet its industrial water quality needs. What are the properties of demineralized water? Demineralized water is usually made by using ion exchange, electrodeionization, or membrane filtration technologies, which can be more efficient for creating ultrapure water than processes such as distillation (where water is boiled in a still and condensed, leaving dissolved contaminants behind). Depending on the technology used, the number of dissolved solids in water that has been demineralized can reach below 10 mg/l and the electrical conductivity can be less than 2 mS/m. Using ion exchange or other processes using resins won’t remove uncharged molecules, so while demineralization can be counted on to remove almost all minerals and salts, the resulting water might contain some organic contaminants such as certain viruses or bacteria. Using reverse osmosis or nanofiltration to demineralize the water will remove these contaminants. How is demineralized water beneficial for your plant? Demineralization is typically reserved for applications requiring higher levels of water purity, such as feed or makeup water for high-pressure boilers, rinse water for food and beverage industries, or process streams used in electronics manufacture, for example. In the power industry, demineralized water is often used for boiler feed water and steam generation. Boilers that generate steam to power turbines require high-pressure boilers and therefore more complex feed water treatment system to remove as many impurities as possible. When steam is produced inside the boiler, the water particles collect and condense, then are recycled and used as part of the boiler feed water. Technically, the condensate that the steam-making process produces is distilled, but dissolved gases such as oxygen and carbon dioxide are sometimes present. The chemical reactions due to the presence of these dissolved gases can cause severe corrosion on boiler pipes and parts. 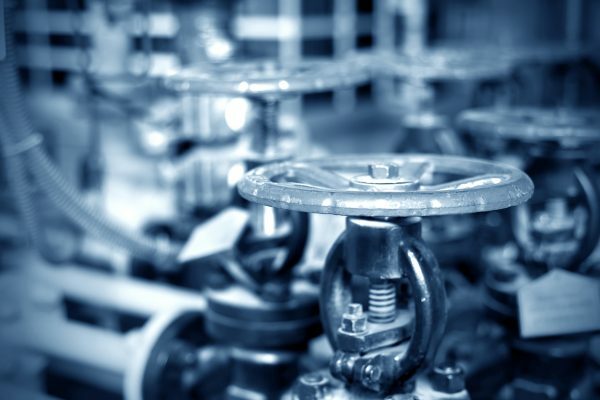 These gases are typically removed with demineralization, advanced deaeration devices, or chemical scavengers, so if you have these present, chances are your boiler feed water system will need to incorporate some form of these technologies. Refineries use demineralized water, like in the power industry, to feed their high-pressure boilers. Hardness and dissolved solids can wreak havoc on a facility’s equipment, and softening is often not enough treatment for most high-pressure boilers and process streams. Since many higher-pressure boilers require a higher quality of water with less contaminants than some lower-pressure boilers, demineralization by ion exchange or membrane filtration (reverse osmosis or nanofiltration, mostly) is typically part of the water treatment train. For the petrochemical and chemical industries, high-purity boiler feed water is also required. Demineralization is used for this. Demineralization can also be used to treat cooling tower blowdown (which can also apply to other industries mentioned). If the water from your blowdown needs to be discharged, any discharge your system creates will need to meet all regulatory requirements. 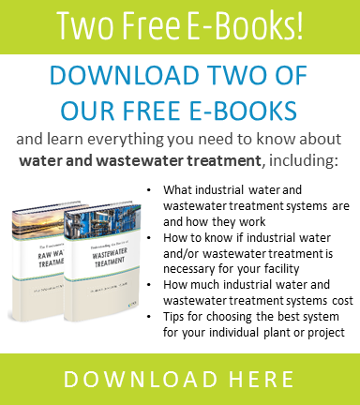 In certain areas where water is scarce, there could be large sewer connection fees, and demineralization systems can be a cost-effective solution here because they can help minimize the cost to connect to water and sewer lines. The discharge of your cooling tower bleed must also meet local municipal discharge regulations if your effluent is being returned to the environment or a publicly owned treatment works (POTW). Demineralized water is often used to sanitize containers and equipment. It is also used in certain food processing applications, although membrane filtration is usually the technology used so organic material, bacteria, viruses, etc., can be eliminated. Food and beverage production require ultrapure water at all parts of the manufacturing process due to quality regulations, so demineralization is often part of the overall water treatment process. Deionized and distilled water are used in the manufacturing of pharmaceutical products and cosmetics in order to control product quality and safety. Different methods of producing demineralized water for different uses, rinsing, and cleaning will be reverse osmosis or deionization while formulations typically use distilled water. Demineralized water are both used for cleaning and rinsing applications across a wide variety of industries including chemical production, mining, as well as solvents in applications as diverse as electrocoating, where they function as a carrier for paint solids or in research labs where they may be used to make a variety of solutions.